ROBINSON Club Khao Lak was a proud participant on the 23rd season of ABC’s popular romance reality series, The Bachelor. ROBINSON guests can now experience their own Romance style holiday as seen in the show! ROBINSON is a leading provider of premium active resort holidays with 23 clubs worldwide. Offering impressive hotels in some of the world’s most beautiful destinations complete with modern facilities, and exemplary service, each property takes inspiration from the region it calls home, and the activity program reflects the local geography. The clubs offer guests plenty of opportunities to relax or be as active as desired with over 64 different sports to try. Holidaymakers will also be able to enjoy a balanced and daily-changing menu of fresh and locally sourced produce. 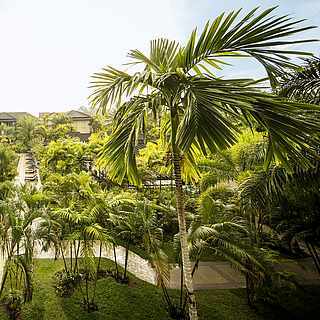 In the heart of Thailand’s Khao Lak Lam Ru national park lies ROBINSON’s debut club on the Asian mainland on 13km of gently sloping, white sandy beaches. ROBINSON Club Khao Lak offers couples the perfect secluded escape and for those looking to explore the hidden depths of the national park beyond the resort, the surrounding reserve makes for a fascinating excursion, with lots of wildlife and beautiful flora to admire. Couples looking to relax and spend quality time together can enjoy the resort’s eight swimming pools, relaxing spa treatments and delicate restaurant menus inspired by the local cuisine.